The term environmental remediation refers to a process that calls for the removal of contaminants and other pollutants from soil, groundwater, surface water or sediment. If you own or want to sell land that is contaminated, the US Environmental Protection Agency or a land mediation authority will request immediate action as this can have a negative impact on human health and the environment. Currently there are 23 million acres being tracked by the EPA on a national scale to this effect. 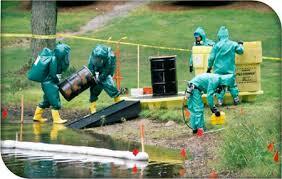 This is the process of treating contaminated water that is located beneath the earth. Many water sources underground may be contaminated as a result of runoff from farms, leakage from landfills and industrial spills. Many of the pollutants can be removed directly while others may be converted into harmless products. It is vital that underground water contaminated is addressed quickly ad it becomes a breeding ground for all types of bacteria like E. coli that can be deadly if left untreated. The fact that water naturally flows, it can spread to other areas previously not affected. Underground aquifers are finite water sources we need to protect for the next generation and so on and so forth. This process is quite similar to groundwater remediation. The difference being that the water being treated is easier to access above the soil. It is a fact that surface water is exposed to lot of elements. Stagnant water serves as a natural breeding area for mosquitoes, bacteria and others that can prove harmful to us. Surface water remediation is necessary because humans are more likely to come into contact with it than with groundwater. With surface water remediation, issues are easier or simpler to correct compared to an underground source. 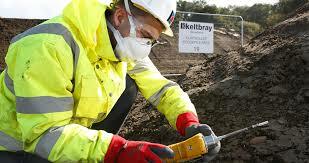 Soil remediation calls for the removal of soil contaminants like heavy metals, hydrocarbons and creosote. There are several methods by which this is done. One interesting method calls for using certain bacteria to clean the soil. Other methods available include: thermal soil remediation, air sparging and encapsulation also proves to be quite effective. The most immediate form of soil remediation calls for the removal of the affected soil and replacing it with a clean fill. The issue with soil contamination is that it can have long term, serious effects not just on the property but also more importantly on the ecosystem. A lot of animals will absorb soil contamination and can result to massive deaths. Livestock are the ones most affected. Affected humans can get sick with serious diseases if exposed long enough to soil contamination. This process is actually a combination of water and soil remediation. When the two are combined together, new problems usually happen. According to the US Environmental Protection Agency contaminated sediment is defined as soil, sand, organic matter and other materials that collects at the bottom of a body of water that contains toxic materials at very high levels. Land can become polluted through a wide variety of sources. Poor practices, neglect or incorrect use of chemicals can result to contamination of the land, surface water and groundwater. Once contamination is detected, it is vital that corrective steps must be done in order to address the situation immediately to prevent further harm to the environment and the living species nearby.